There is a story about one of the great Masters: Dong Zhongshu. Dong was a master of the Confucian cultivation arts at the time of the Han Dynasty. He had reached mastery when only in his 30s. He was a strong advocate for the teachings of Confucianism, which led him at one point to be imprisoned by the Han Emperor Jing. The Han dynasty would eventually rise to be the first imperial Golden Age of China but at this time the Han Emperors were not yet so grand, and depended upon corrupt feudal lords, had an inept and nepotistic bureaucracy, and followed the teachings of the witch-doctors (“wu”, or Shamans) who dealt in what could be termed sorcery. These sorcerers used incantations to conjure up spirits they worshiped, and performed divination, and relied on talismans to bless, protect, heal or curse. They came out of a folk tradition that was itself not unhealthy, but by the time of the Han the ones who had risen to great status as the advisers to the Emperor were often wicked and corrupt, black magicians. While Dong Zhongshu was imprisoned, the Emperor Jing died, and his 15 year old son Emperor Wu came to the throne. Dong sensed much virtue in the new emperor, but he was being manipulated into a life of hedonism by his sorcerous advisers (who were in fact acting on the orders of the Dowager Empress, who still held all the real power). In the 5th year of the new Emperor's reign, when Dong was 39 years old, he petitioned the Emperor. He advised him that the power of inner cultivation, and its ability to affect the world, was superior to the witchcraft of the Shamans and that if the Emperor were to follow his advice for reforms he would become the greatest ruler of the mightiest Empire of the world. The chief shaman, known as the 'sorcerer of Yueh', advised the Emperor that Dong Zhongshu was committing blasphemy against the spirits the young Emperor had been taught to worship and makes offerings to, and urged that Zhongshu be killed. The young Emperor, possibly torn between the lifelong conditioning of the shamans and his own desire to create reforms and fix the many injustices he'd seen in his empire when he'd traveled it in disguise (something he was known for doing), decided that the proof of which of the two (Master Zhongshu or the Sorcerer of Yueh) were speaking the truth would be determined by their relative power. He therefore told the Sorcerer that if Zhongshu is a blasphemer, the Sorcerer should use his magic to destroy Zhongshu. The Sorcerer of Yueh was versed in a particularly malignant form of Qi Gong called the Five Animal Dance, a style from the “Refuge school” where the practitioner would enter into a trance through swaying and the recitation of mantras and vibration and then allow one of five animal spirits to possess his body. These spirits would then use the shaman, who was really little more than a vessel (and thus cultivated no Virtue or Gong), to engage in magic, using talismans for healing or cursing or performing auguries. As the Sorcerer began to draw into himself a tiger-spirit that would let him use a dark talisman to kill Zhongshu, the latter put on his Confucian robe and envisioned the Bagua, the pattern of the eight trigrams in a circle, directing his Qi to project these in a circle around himself. Then he recited the first four words of the I Ching: “Yuan Heng Li Zhen”. The moment he finished intoning these words (which are the four virtues: Union, Discipline, Harmony and Truth), the Sorcerer dropped dead. Zhongshu had created a field of reality that caused all of the Sorcerer's attempts to warp reality to his own desire to backfire on himself. Having found clear evidence of the superiority of Dong Zhongshu's cultivation and wisdom, the Han Emperor took him on as his adviser and they began instituting the reforms (the criminal punishment of corrupt nobles, abolishing nepotism, institution of merit-based tests for the bureaucracy that would allow anyone worthy to serve public office regardless of social class, and adopting Confucianism as the official philosophy of the state) that assured the prosperity of the Empire for the rest of the young emperor's 54 year reign and for many generations to come in the Han Dynasty. Indeed, some of the reforms (like the merit-based exam system) remained part of Imperial China for the rest of its 2000 year history. -Confidence in one's Virtue and careful cultivation are the best means to help serve and change society. -Reliance on “spiritual” methods that ignore one's inner cultivation in favor of material trinkets is ill-advised. -Cultivation systems that abandon personal responsibility of practice (and the development of Virtue), in favor of relying on being helped by external spirits or deities, will always be inferior to Cultivation Systems that depend on your main consciousness. -The practice of “magick” that seeks to force your personal desires on the World will always be less effective than the Magick that relies on connecting to and adjusting the fundamental forces of Reality as it is. As for Dong Zhongshu, he ended up imprisoned once more in his lifetime, and almost executed, when his contemplation of the I Ching led him to make the prediction that the Han Emperor's family line would come to an end when it would be overthrown by a Confucian Scholar who would take the throne. The very idea seemed insane and sounded seditious, and only the popularity Dong Zhongshu had with the court and his advanced age granted him a stay of execution and release from prison. After his death Dong Zhongshu would be remembered (as he is to this day) as one of the greatest Confucian sages of all time. His prophecy with the I Ching also came true, 113 years after Dong's death, when the Confucian scholar Wang Mang temporarily overthrew the Han Dynasty and created great chaos for a period of 16 years until the restoration of the Han. There are many things that can affect your ability to process Qi, most of these internal. What in Qi Gong is often called your 'enlightenment level' (just how Conscious you are), your physical health, whether or not you are under stress, how many distractions there might be and whether you allow them to be distractions, your will (to "show up" for the practice and do it with your main consciousness), and of course the cultivation of Virtue. And it is important to note that ALL phenomena are 'natural' phenomena from the perspective of Yi Fa, so there is no special advantage in and of itself between practicing on a mountaintop or practicing in the middle of a mall. But of course, that difference could cause differences in those internal conditions I already mentioned. If where you are is more appealing to you, changes your stress level, makes you more willing to show up, etc, it will put you in a better frame of practice. So the golden rule is: do Qi Gong where you feel most inclined to do it, if possible (but above all else, DO QI GONG, do it every day, regardless of whether circumstances are ideal). There is one external difference that is more important than any other I have found: Qi Gong practice is much more effective if done in a space that has some kind of opportunity for circulation of air. So if you are doing Qi Gong in a place with all the doors and windows closed, it will be less effective. If you are doing it in a small room with the door locked it will be less effective than doing it even in a bigger room with a door to some other rooms open. Practicing in a big indoor space, or outdoors, is more effective than in a small enclosed space. Yi Fa Qi Gong, as practiced in the Yi Fa Society, is an example of "internal" Qi Gong. That is, an inner alchemy used for the purpose of creating transformation (Change) in ourselves and our surroundings. There is also a kind of outer Qi Gong, different from what we practice. It is usually but not always practiced in the context of some forms of martial arts. Just like with inner Qi Gong, Qi is cultivated, but here it is applied to the fortifying of the body to be capable of notable physical feats, rather than for inner transformation. This information is shared for understanding of the differences between inner and outer cultivation, and general interest; with the understanding that Yi Fa Qi Gong and the work of the Yi Fa Society is an inner practice. This is the second in the video series explaining more details on the hexagrams of the I Ching. It serves as an additional commentary to material found in the book "The Magician's I Ching". Members of the Yi Fa Society receive even further details on these hexagrams, through documents not available to non-members. If you are interested in the study of the I Ching, one of the world's oldest books of wisdom and a profound guide to self-transformation, please consider joining the Yi Fa Society to advance your studies through it's multi-level training program! Trigram Notes: "Chen", the Fire Element/ "Thunder"
The trigram “Chen” is traditionally translated as “thunder”, but its quality is that of the hermetic element of Fire. It is the active and moving force, the force of dynamic power, the arousing or energetic force. It is correspondent to springtime, the time of rising force. 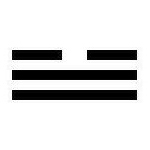 Because of its single strong line at the bottom (the first line of the trigram, because in the I Ching the lines are always read from the bottom to the top), it is called the “eldest son”. Its quality is vibration. Its key spiritual concept is “Arousing” (i.e., “Exciting”). In hexagrams, the fire element can bring energy and impetus to an otherwise sluggish situation; it can represent will and enthusiasm, excitement. But ill-dignified it brings chaos, from energy poorly directed. When it clashes with its paired trigram element, then great disruption and struggle ensues. The latest video on the youtube playlist is a guide to the basic Mudras, or hand positions, in Level 1 of the exercises of Yi Fa Qi Gong. These hand positions are crucial to the fully successful performance of Yi Fa Qi Gong. The Facebook group created alongside the publication of The Magician's I Ching, the version of the I Ching specifically created for the Yi Fa Society in English, has just reached 800 members. This group is not just for this particular book, but for the study of the I Ching in general. It has daily postings of people's questions, discussion, information and much advice on how to use the I Ching. 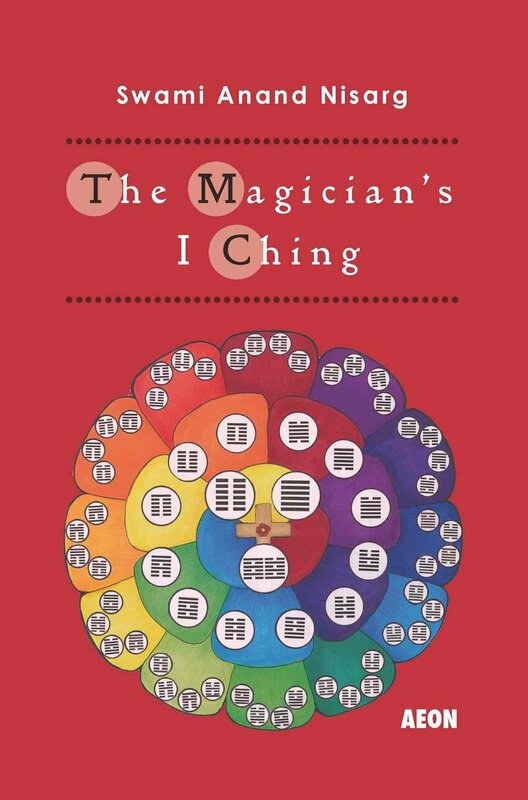 While it is not part of the Yi Fa Society, the Magician's I Ching Facebook Group is a very valuable resource to members of the Yi Fa Society or to anyone at all who is interested in the I Ching and wishes to further their studies of it. If you are on Facebook, and this is a subject of interest to you, please feel free to join. Members come from all backgrounds and from a vast range of personal experience with the I Ching: from total beginners to some of the greatest authorities on the subject. Contrary to those who "do not have time", there are also practitioners that find themselves in the difficult situation of being injured or unwell. How should one approach the practice in these situations? On the one hand, Qi Gong is specifically beneficial to recovery from injury or ill-health, but ironically those conditions can sometimes make it feel very difficult to practice Qi Gong. The following is a selection from the Level 2 text "The Universal Yi Fa Qi Gong", a special document exclusively for students of the Yi Fa Society that explains both basic and advanced concepts in Yi Fa Qi Gong practice. While many sections of that text are secret to Level 2 students (and above), there is nothing in the following section that prevents its public dissemination. The practice of Qi Gong is generally beneficial to bodily health (although not always to the extent some try to claim). However, there will be times a practitioner may become ill as this is a natural consequence of life. When ill (or injured) it may be difficult to keep up the standard discipline of Yi Fa Qi Gong practices. Whenever a practitioner is ill, they should still practice as much as they comfortably can, but without straining themselves or complicating their illness. If they are too unwell to continue the practice in full, they should only do those practices that are easy for them. If their movement is restricted due to injury or health complications, they should adapt the exercise so as not to cause themselves pain; however, they should only adjust the exercise movements as little as is necessary to avoid pain or discomfort. If a practitioner cannot stand or get out of bed due to their health issue, then they should focus their practice on Qi Breathing. The Yi Fa Society is open to applications for membership. If you wish to join its training program, please contact me here, by email, or on Facebook. The old fraud in this video claims he's using Qi to move everyday objects. In fact, as subsequent investigation found out, the table he was putting all the objects on was rigged with a machine that moved them. This was a particularly obvious example of fakery, but there are many other supposed "Qi Gong Masters" out there who engage in slightly more clever frauds. None of them are very clever, however. For the most part, common sense should allow one to discern fraudulence. But why are there all these frauds? Who is really responsible for them? Of course, on the one hand people like this faker are responsible for the choice to engage in fraud; but the question remains as to why they feel driven to do so in the first place? There is an old saying: "the reason there are so many fake teachers is because there are so many fake students". The people who engage in this kind of trickery do so because there are great number of people willing to give them fame, fortune, unmerited respectability, and other benefits for their falsehood. In turn, these people give this over to the frauds because they in turn desperately want to believe in gaining the types of powers these teachers claim to have. They want to have answers, to fix their problems, to gain fame and be respected as "spiritual people", so they will buy into what these snakeoil salesmen are selling. If you are drawn to Qi Gong, or to other mystical teachings, it is important to look within to understand the reasons why. You will likely find that you do have some of these reasons listed above. You may also find that you have a deeper reason: to want to transform yourself, to overcome your own limitations and develop your consciousness. It isn't that there are just "fake students" and "real students"; this is a question of the Inferior Person and the Superior Individual taught about in the I Ching. We all have our lower motives and our higher motives: the lower ones lead us, through fantasies and lust of result, to fool ourselves and let ourselves be fooled by otherwise obvious fakes. The higher ones let us break free and liberate our being. The trigram “Tui” is traditionally translated as “lake”, but its quality is that of the hermetic element of Water. It is the deep and still force. It corresponds to autumn, when nature is slowing down. It is also sometimes translated as “a marsh”, or even a “swamp” (but this is somewhat inaccurate, as it is not meant to have any of the negative connotations westerners associate with swamps). It has the quality of the rain, of joy and relaxed pleasure. Because of its broken line at the top, it is called the “youngest daughter”. Its quality is openness. Its key spiritual concept is “Pleasant” (or “Complacent”). 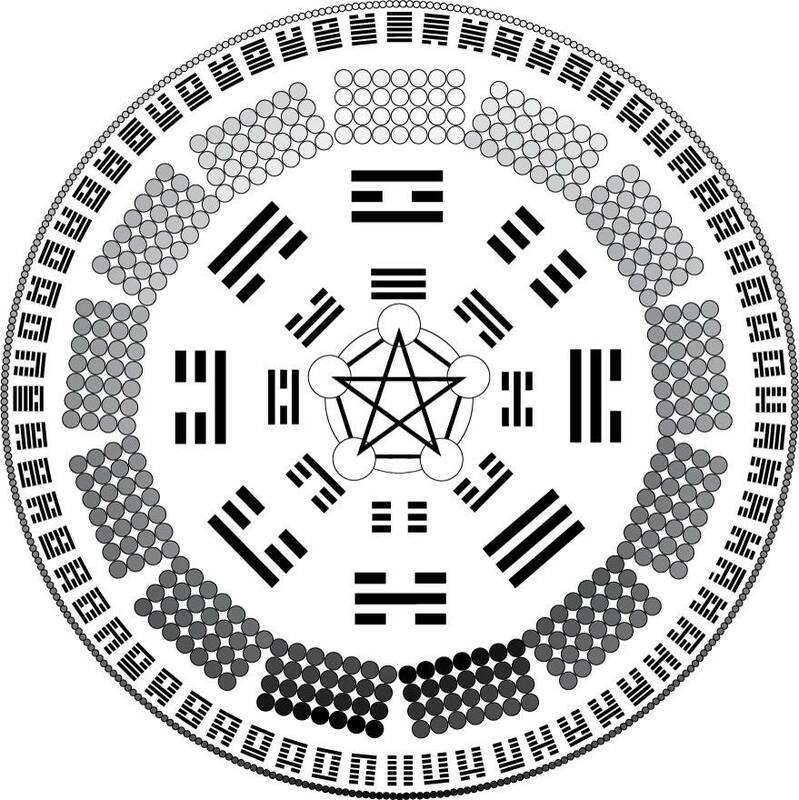 In combination with other trigrams to form hexagrams, the Water trigram has a tendency to push toward a kind of passivity and complacency. When well-dignified it can considerably reduce the harsher qualities that would otherwise arise in a situation. But when ill-dignified it can imply laziness or an excess of self-interested sensuality that cause trouble for the querent. It is a simple reality of most spiritual practice that there are no serious short cuts. Discipline is an essential virtue for growth. Some sincere spiritual practices place very high demands on their practitioners, some place much lower demands, but all have in common that they require steady and regular practice (almost always daily practice, of at least a baseline of exercises) in order to be fruitful. In the cases of Yi Fa Qi Gong, or of growth of understanding and development of skill with the I Ching, when students suggest to me that they are not making progress, the first thing I would ask of them is "are you practicing at least a little bit every day"? There can be other reasons for failure in these practices, or it is also possible that a student may be in fact making progress but just doesn't feel as though they are, but the single most frequent cause of genuine lack of progress is a failure to practice with consistency and regularity. And by far, the most common reason or excuse given for this failure is that the student "doesn't have enough time". Some say it as though they truly wish they could have enough time, as though they would be dedicating hours of the day to practice, if only that were possible; but their schedules mean that they can't spare even enough of their time to do the most basic work. Of these, Qi Breathing does not need to be done at any set time. Certainly, it is worthwhile to do a few minutes at least of standing meditation at the end of the Earth practice, or to do a few minutes of sitting practice. But if this was not possible (and even if it is possible and you do it) it is still very worthwhile to just do Qi Breathing throughout the day whenever you remember to. It doesn't have to be done apart from the rest of your activity. You can practice Qi Breathing all the time in just about any situation; while doing any number of other activities. All you have to do is breathe. If you didn't have time to even breathe, you would be dead. As for the other three, it takes about 2-3 minutes total to do the suggested warm-ups. It takes about 4 minutes total to do the preliminaries, and it can take as little as 5 minutes to do the Earth practice. Certainly, it might be more preferable if you could spend 10 minutes or more doing the Earth practice, but it would be possible to do it in 5. So the bare minimum daily practice of Yi Fa Qi Gong requires, in a conservative estimate, a total of 12 minutes of the day. If you were to repeat the Earth exercise three more times in the day as is strongly recommended, this would still theoretically be possible to do in less than a half-hour total throughout the day. Of course, different people have different kinds of commitment, some people have more time in their schedules than others. Sometimes schedules get disrupted, it isn't always possible to do all the practice one might wish to do in a day. Even a Qi Gong master could have days where, because of particularly busy activities, it might not be possible to do as much as one would feel is even a truly decent minimum of practice. There may be a day here and there of absolute emergency where due to catastrophic circumstances one might not be able to practice at all. And fortunately, very occasionally missing an entire day of practice is not the end of the world. But the idea that anyone couldn't do the minimum of practice for the most part, on a sufficiently regular basis to see the benefits and grow in the effects of daily practice, is essentially nonsense. The situation is similar with the study of the I Ching. The "bare minimum" of study would here be to select one hexagram, read the material of that hexagram (which in The Magician's I Ching rarely takes up more than one single page of text, and could likely be read in well under five minutes), and then try to make some effort to think about what you have read over the course of the day (which can be done at any number of moments you find convenient). Once again, there is no possible way that the vast majority of practitioners could truly "not have enough time" to accomplish this, if the will to do it is there. What is really happening when someone says "I don't have enough time to practice" is usually a different situation altogether: when a student says they don't have time to practice, what is really happening is that (whether they realize it or not) they are choosing not to make practice a sufficiently high priority in their life. There are some spiritual practices which demand a very high prioritization. Some schools require that a practitioner leave their entire life behind and live in a monastic environment, dedicating every hour of their life to the practice. Others are less strenuous but still put huge demands and expect that the student will make their spiritual work the very first priority above every other thing in their life. The work of the Yi Fa Society does not do this. It comes from a tradition of the 'secret schools' which not only allowed but expected students to lead regular lives, and considered their experiences and activities in that regular life to be an important 'field' or environment in which to put into practice the teachings of the school. Moreso even than most of these schools, the work of the Yi Fa Society has been crafted to be as easy as humanly possible to incorporate into one's life; that is, as easy as it was possible to make without rendering the practice ineffective. For example, while many systems of Qi Gong require that a practitioner set aside a single long period in the day for practice purposes, Yi Fa Qi Gong is set up so that one can compartmentalize the practice to fit their own schedule. A student can do all the exercises listed above at once, or they can spread it out in little bits over the course of the day. There is no practice that I could conceive of that could be easier to do regularly and still be capable of effectively allowing for a full flowering of awareness in the practitioner over time. So in the context of the Yi Fa Society, what is a correct level of priority to put on daily practice? Most people, in their lives, have a variety of commitments. In some cases these commitments are in essence obligatory: things that must be done to maintain one's basic obligations in the world. Others are in essence voluntary: things that one does as a routine that are not ultimately essential to life in the world. Among the former are the things that, from the perspective of the Yi Fa Society, should be put in an order of priority above daily practice. These include: whatever is necessary to keep up one's health, commitment to family (and wider commitments to community), and commitment to one's work and career (or studies). The work of the Yi Fa Society is not merely a practice for health, or mental well-being, or a hobby. It is a spiritual practice for self-transformation, and in some sense this work, of progressing toward the manifestation of the Superior Individual and Enlightenment, is the most important thing any human being could engage in. As explained above, this does not mean that one should abandon other essential commitments for the sake of the practice; if for no other reason than that how you fulfill these other commitments is also an essential part of applying the practice itself, vital for the development of Virtue and a genuine growth of Awareness. But at the same time, the Yi Fa practice should not be treated frivolously. One more thing: it has been recently reported that for the first time, the number of hours on average that people spend online has surpassed the amount of time people spend watching television. The combined time on average of both of these activities is somewhere around six hours a day! Now, there's nothing wrong with this, and no one is suggesting that a student should stop engaging in these or any other activities they find engaging, relaxing, or interesting. But if a student can take just a small percentage of the time they spend doing these things, or any number of other things they occupy their day with, and decide to make the practice a priority in that small amount of time, the rewards are enormous. The practices of the Yi Fa Society should not be a burden. They are meant to enrich your life. In order to do this, they require that your become aware of the great value they offer, and give them just a small but appropriate level of priority in your life. If on careful inspection, and understanding what this practice offers, you still did not feel that you could give that time, then recognize that a spiritual practice is not something you actually value (at least not now). On the other hand, if you consider this and acknowledge the potential value of spiritual practice in your life, let that reflect in an appropriate level of dedication to the work.